Celebrity Cruises will base six ships in Europe in 2014. The Celebrity Constellation, Eclipse, Equinox, Infinity, Silhouette and Reflection will operate voyages of up to 28 nights. Of note is an increase in seven-night cruises. 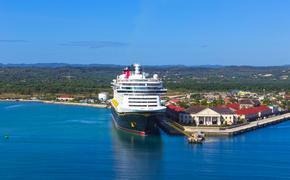 “We’ve listened to our guests, many of whom have told us they want to sail with Celebrity in Europe, but don’t have multiple weeks to spend there,” said Celebrity President and CEO Michael Bayley. “The new shorter cruises are a big shift for us” and are aimed at working professionals and others with less time to spend on a single vacation. The 2014 Europe sailings will open on March 27. Calling at 102 ports in 30 countries during the 2014 Europe season, Celebrity will visit five ports for the first time. These five include Zadar, Porto Torres (Sardinia); Almeria, Spain; Sochi, Russia; and Lerwick/Shetland, Scotland. The ships will overnight in 16 ports, including Sochi, Russia; Bordeaux and Le Havre, France; Venice; Barcelona and Bilbao, Spain; Alexandria, Egypt; and Jerusalem (Ashdod), Israel.